50 Signs Your School Is a Great School! With so much emphasis on failing schools, Education World thought this would be an appropriate time to focus on the good news in our schools. So we invited our Principal Files principals to share the great things that are happening in their schools -- and share they did! Included: The opportunity to add your school's great ideas to the list! A big thank you to the 16 principals who took time to notice the great things happening in their schools! Those principals are listed by name at the end of this article! It seems the six o'clock news is full of bad news about our world and our schools. That's why we decided to focus this month's Principal Files Principals question on good news. We asked our P-Files team members to carry a small sheet of paper with them throughout a recent school week. We gave them a single, simple direction: "When you see something that warms your heart, when you see something that makes you say 'Yep, we do good here!' or 'Yes, this is a great place! ', write it down!" We got dozens of notes from our principals -- notes about the good things, large and small, that are happening every day in our schools. Today, we are pleased to share "50 Signs Your School Is a Great School"! An appreciative teacher places a PayDay candy bar in a colleague's mailbox with a short note: "You deserve an extra pay day." Janitors take it upon themselves to plant seasonal plants in school planters. Teachers use e-mail as a viable tool for communicating with parents and one another. A student, seeing the principal and the parent of a prospective student on a school tour, speaks about his school spontaneously and from the heart. The parent ends up registering her child! A teacher tells a boy with a reputation for misbehaving at his old school that she doesn't judge him by his past. Two students, arms around each other, share an interesting book. A top soccer player gives up his spot on the school team to a new student in the school. Eight parents volunteer to serve as mentors in the school's problem-solving competition. Students write and perform a musical play to introduce a new student book club. 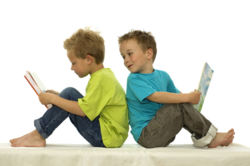 Patience and persistence lead an intellectually challenged child to read short sentences. Without any prompting, the whole class celebrates. A fifth grader saves parents from confusion by finding a "big mistake" on a notice before it is sent out. Teachers get together to help a newly hired colleague set up her room. A parent sends letters of appreciation to the principal and teachers for the way a difficult situation was handled. An angel pin is included with each letter. A third-grade girl walks into the office as a tape of Lee Greenwood's rendition of the "National Anthem" is playing over the intercom. She stands still and begins to belt out the song. How beautiful the sound! Students smile as they find their names on the "Reading Wall of Fame." The school board announces that students affected by an upcoming boundary change will be allowed to stay in their current school for one more year. Almost all the students choose to stay! Student organizations take turns picking up trash on campus. Students post a large paper U.S. flag in the cafeteria and invite others to show their American spirit by writing appropriate messages on the flag. Have you seen these articles from Education World's Principal Files series? * The Principal Shortage -- Why Doesn't Anybody Want the Job? A teacher has a special lunch with one child from her class every day. The school secretary pays for eyeglasses for a needy child -- anonymously! A student and a teacher swap science fiction books because it is the favorite genre of both. Forty high school students volunteer as reading tutors to K-5 students. The lunchroom staff makes goodies for the teachers for breakfast every Friday. A teacher provides after-school tutoring for a child -- without extra compensation. Two fifth graders conduct a peer mediation session for two third graders. Teachers hand out awards to kids who do the "right thing." The entire teaching staff shows up to work alongside parents at the school fair. One child's mother has been undergoing chemotherapy. The student doesn't want to talk about it, but he cut off his hair to show support for his mother. The other children respect his wish for privacy -- and ask no questions. A young student leads the Pledge of Allegiance over the school intercom. A handful of students volunteer at a nearby assisted living community. They read aloud to the residents, help them clean their rooms, etc. Children in after-school care have such fun they don't want to go home when parents come. A parent makes meatloaf for the entire staff. Without being asked, a Hispanic student makes ESL flash cards for a Macedonian student who is new to the school. Parents stop in at a Parent Center to watch television, have a cup of coffee, or help with teacher projects. Students greet each other, visitors, and staff members with a friendly "Good morning!" or "Good afternoon!" -- without being told to do it. Parents, staff, and students join for a day of planting, cleaning, watering, pruning, etc. Those who can't make it provide monetary support. Staff members take turns covering duties for a teacher who is recovering from open-heart surgery. A third grader stops to tie the shoes of a kindergarten student. A parent stops to give the principal a hug. A student offers to share his lunch with his teacher because he is concerned that the teacher doesn't get time to eat. A boy stops into the office to hand out clover flowers he collected on the way to school. A 9-year-old student collects trash on the playground. When a parent asks the boy what he's doing he replies, "This is my school and I want it to look good!" A student rolls his wheelchair into the office to offer the principal a solution to a problem. A tall teacher reaches to get on overhead projector for a shorter colleague. A child brings the principal a Spam sandwich because he'd overheard the principal say, "I just love Spam." Students stop at the principal's office to share with him "better jokes" than the ones he tells at Friday morning assemblies. Special education students make red-white-and-blue yarn emblems for students and staff. Kids drag in bags and bags of cans to recycle to raise money for school programs. A fourth grader with reading problems reads to the preschool handicapped class. He says he wants to grow up to be a special education teacher! Thanks to This Month's P-Files Contributors!